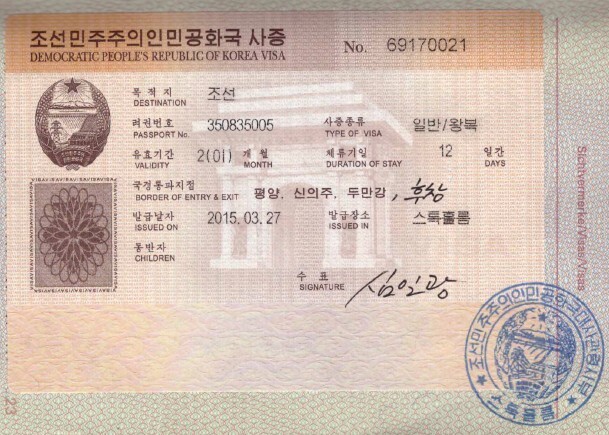 I finally got my last visa today and the long imagined trip to North Korea is now cleared of all administrative obstacles. Yes, I’m going to visit North Korea. Sounds weird but I want to see & hear the koreans by myself and I’ve a strong aversion for propaganda by all means. I’ve been to the West Bank and to Cyprus, each time seeing the local wall from both sides. I’m gonna do the same here and will make my mind up by myself. For sure this doesn’t sound like standard holidays but I’m a hobby photographer & blogger and I want to see this live. Right now I’m packing and checking everything as this trip will lead me from Beijing to Pyonjang, to Rason & Vladivostok and from there to Seoul. I’ve already booked a tour into the DMZ on the south korean side which will be very interesting too I think. Anyway, I’m off to go on packing and will post soon the first pictures from abroad. Of course pics from the DPRK will be only online after I’ll be out of the country again as there is no Internet, no phone service or any means to get online from within this country. I’ll enter the DPRK on April 27th and will be in Russia on May 8 to see the local Military Parade celebrating WW2 victory. you want to make your mind up by yourself? think again you misguided imperialist puppet. we are not gonna let you do that, because you will bow to the dear leader general kim jong il daily!